Today, Aadhaar cards have become the most important and convenient piece of document for establishing your identity in India. From getting a new SIM card, accepting a courier, or opening a bank account – an Aadhaar card has become a mandatory prerequisite. However, there have been multiple reports of leak of Aadhaar data. In Jan 2018, an agent at an Aadhaar grievance redress facility in Surat, Gujarat, was found to be providing the details of any Aadhaar number. In this case, an FIR was lodged by the UIDAI (Unique Identification Authority of India), a body of the Government of India. The issue, in this case, was that the victim’s Aadhaar number was easily accessible to the perpetrator. Even a courier delivery person has access to this information, when identification is required to receive a courier (e.g., credit card). In light of such data breaches, the UIDAI has decided to make the Aadhaar card more secure. This is particularly for offline verification—identification during deliveries, SIM card purchase, etc. The UIDAI is doing this by updating the QR Codes on Aadhaar cards. Currently, QR Codes already exist on the cards. However, these QR Codes are encoded with sensitive information such as Aadhaar card number, amongst other data. These QR Codes can easily be read using a generic QR Code scanning application. The new QR Code will share limited information only—name, photo, address, and date of birth. Our best guess is that now instead of encoding the data directly into the QR Code, the new QR Code will take the user to a webpage hosted by UIDAI. This webpage will have the required information. How will all the people be informed about this change? After downloading the new QR Code, the Aadhaar number needs to be blackened. Who will tell the illiterate about this step? The Government will need to address these issues to ensure that everyone benefits from this initiative. 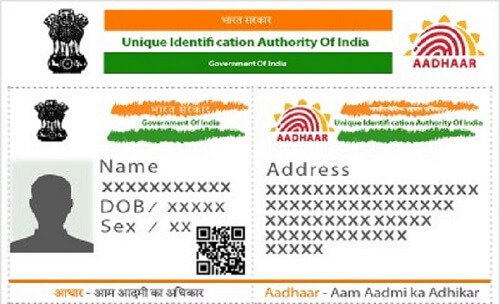 In 2018, Unique Identification Authority of India (UIDAI) launched ‘Aadhaar Paperless Local e-KYC’ for offline identity verification of Indian citizens.